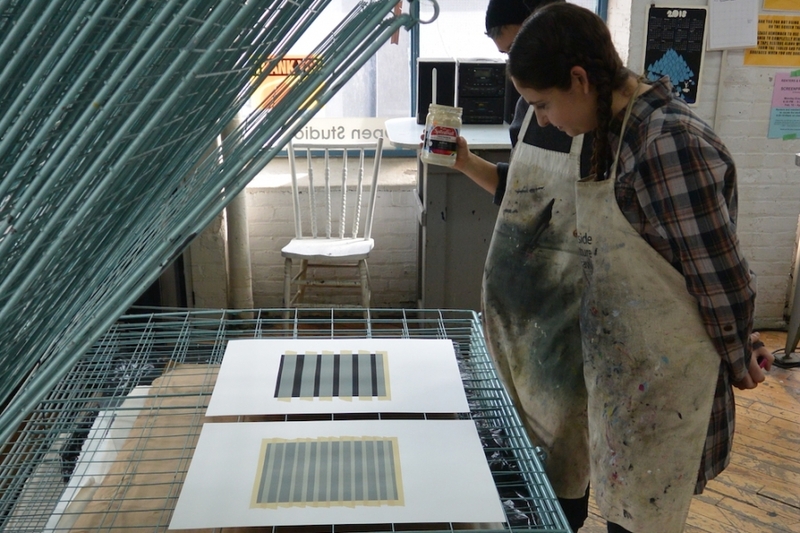 Visiting artist Roula Partheniou working with Open Studio printer Nadine Bariteau to realize a project in screenprinting. Open Studio offers a number of artist residencies of varying lengths and benefits for both printmakers and non-printmakers. Please use the links on the left to find out more about each program.